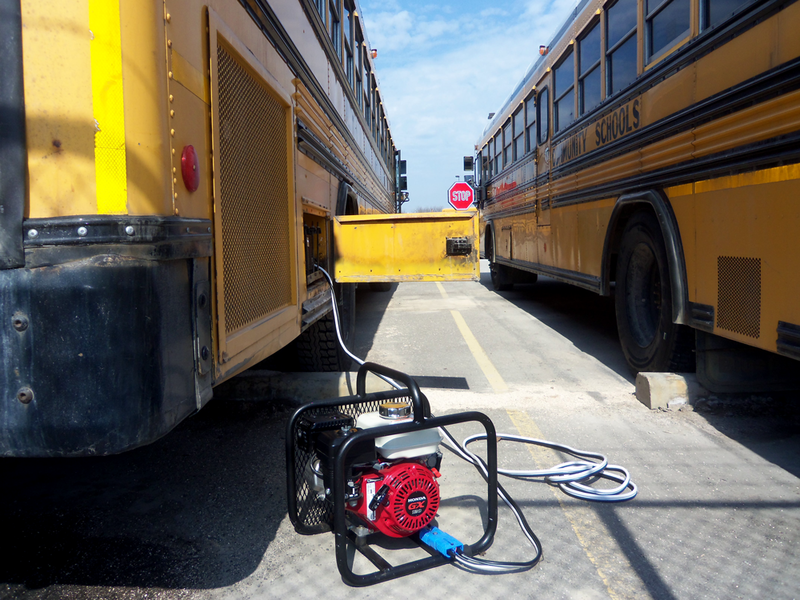 The PortaCharger is ideal for bus garages, where entire fleets of buses are not only stored, but also maintained. It is inevitable that bus garages and depots will have to deal with dead batteries. Whether the dead batteries are due to disuse, operator error, or other causes, the PortaCharger make reviving dead bus batteries quick and simple. From school buses and public transit to private and charter bus garages benefit from having the easy to use and carry PortaCharger. Make charging your fleet of buses simple with a PortaCharger. If you have any questions about the benefits of using a PortaCharger DC portable generator at your bus garage please contact us today.